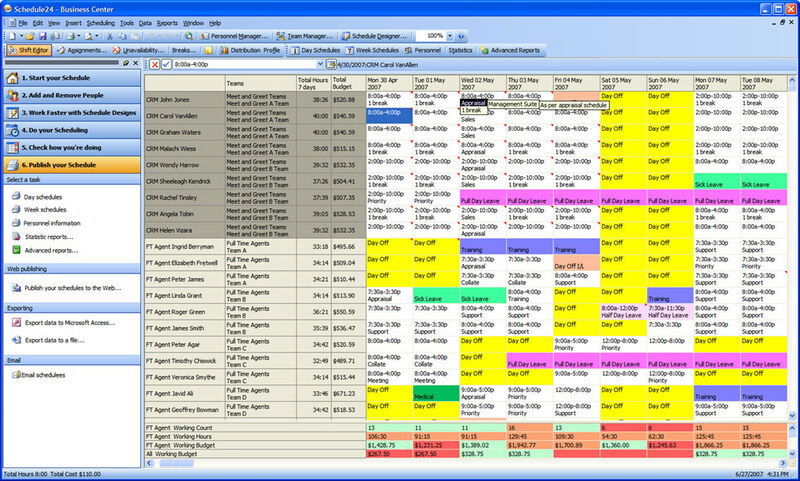 Found 3 file extension associations related to Schedule24 Professional and 3 file formats developed specifically for use with Schedule24 Professional. Developer / company: Intellicate, Ltd.
Schedule24 has been designed for the budget conscious manager who needs to deliver effective staff scheduling solutions into workplace environments operating extended hours and 24 hour working. With the look and feel of familiar Microsoft Office products, Schedule24 streamlined workflow is easy to understand and helps you save time planning and coordinating team action right away without spending days on training. If you need more information please contact the developers of Schedule24 Professional (Intellicate, Ltd.), or check out their product website.